Over the past 24 months, Juventus have barely put a foot wrong. An unbeaten Scudetto triumph in 2011-12 took them back to the top of the Italian game for the first time since Calciopoli, with a Coppa Italia final appearance thrown in to boot. That was followed up with another league title last term alongside a last-eight spot in their return to the Champions League. Now the challenge for Antonio Conte and his players is to maintain their dominance in Italy while furthering their pedigree on the continent. 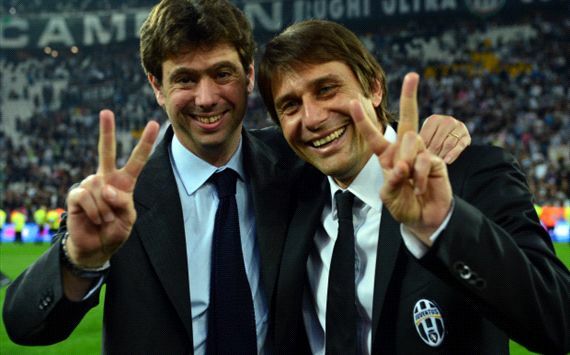 With Juve’s relationship with glory having been rekindled, their need to reinforce their squad is clear. In football, to stand still is to step backwards, and president Andrea Agnelli and director general Giuseppe Marotta have already been making strides to improve the club’s playing resources ahead of a key campaign in the regrowth of the club at the top end of the game. 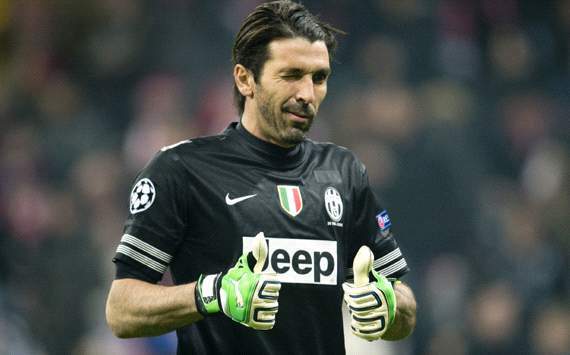 Goal looks at the potential comings and goings to see how Juventus may make changes over the coming summer. If Juve have had one constant issue in their two Scudetto-winning campaigns it has been their lack of quality in front of goal and that has certainly been foremost in the minds of their transfer chiefs looking ahead to the summer market. Fernando Llorente has already been brought on board in a Bosman free transfer which will add a level of goalscoring talent to their forward line, but more resources are being sought to ensure Juve make a sincere effort to become untouchable at home and a serious challenger abroad. 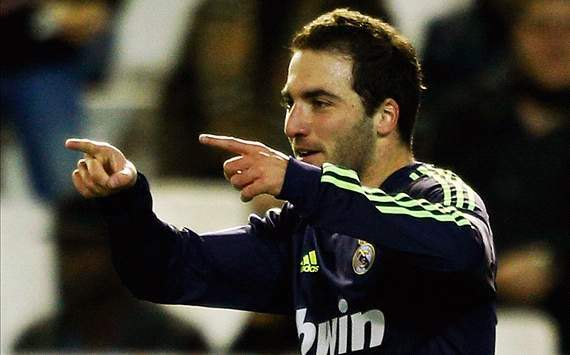 Heading the list of potential arrivals is Real Madrid striker Gonzalo Higuain, who was this week given the seal of approval by former team-mate and one-time Juve star Fabio Cannavaro. The Blancos striker is seen as the perfect man to add to the forward line at Juventus Stadium, with the Old Lady ready to offer a €20 million four-year deal to the Argentine front man. Another target is Fiorentina’s Stevan Jovetic, who has said he feels honoured to be linked with a club as important as Juve. However, while a €4.5m annual package over five years would appear to be enough for the player, the Tuscan outfit are currently unwilling to move from their €30m valuation. Arsenal also appear to be ahead in the race, currently. Juve are hoping to offer midfielder Luca Marrone as a part-exchange in order to bring the asking price down to €12m in cash, but there is still some discourse between the clubs at this point. Fall-back options to add to the strikeforce include Manchester City’s Carlos Tevez, former Juve forward Zlatan Ibrahimovic and Bologna’s Italy international Alessandro Diamanti. Of the three, it would appear that most progress has been made with Diamanti, but Jovetic is seen as a more desirable option, while Barcelona’s Alexis Sanchez will not be ruled out as a possible target. Beyond the forward line, there is also a thirst for further strength in depth defensively, with Torino’s Angelo Ogbonna number one on the club’s hitlist. The Italy international could move across the city in return for Ciro Immobile and Frederik Sorensen, with Juve again looking to offset spending by shipping out players who may not have a long-term future in black and white. Fringe players acting as part-exchange fodder are not the only men set for the exit door at Vinovo. With Juventus’ extensive search for new centre-forward, there will be a desire to offload strikers who haven’t quite convinced Conte and the club’s management. 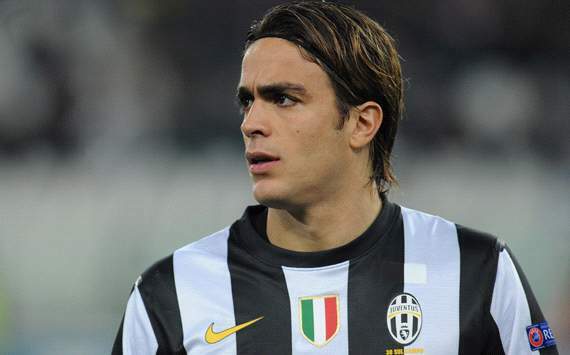 Heading that list is Alessandro Matri, who went from being the club’s top scorer to a bit-part in the space of 12 months. Following a largely successful first six months at the club – even during his 10-goal term in 2011-12 – there were many doubting his qualities as a born finisher, and his reduced deployment this season has further compromised his position as a key member of the first-team squad. The club could well be ready to cash in while he still has some worth in the transfer market, with a year sat on the bench behind further new strikers only likely to making him more worthless as an asset. Another striker who could face the axe is Fabio Quagliarella, who has never sustained his position as a first choice since a season-ending knee surgery in January 2011. He is now being hunted by a number of Serie A clubs, including Inter and former sides Udinese and Sampdoria, while Fiorentina could well accept the marksman as part of a deal to allow Jovetic to leave for Turin. Perhaps the biggest name to head for the exit, though, could be Mirko Vucinic. The ex-Roma front man has had his agents looking for suitors across the continent, with the Premier League his preferred destination, although there is no sign yet that either Arsenal or Tottenham – who have been allegedly contacted by his advisors – having a strong interest. Following a difficult first term after Juve bought half of his rights from Udinese, Mauricio Isla could be on the move again this summer. The wing-back has struggled to have the impact in Turin that he had in the north east of Italy and is another player who may be used to reduce the cash outlay that the club could be forced into in order to achieve their aims on the market. Arturo Vidal and Stephan Lichtsteiner are leading the list of players being targeted by top clubs across the continent, with Bayern Munich and Real Madrid respectively said to have shown a serious interest and the latter having been linked with a possible exchange as part of a deal for Higuain, but Juve are expected to put up a big fight to hold on to both first-team regulars. The only question mark over Antonio Conte has been his appetite to continue in the face of countless challenges. After his touchline ban for not reporting match-fixing while coach of Siena, he returned to the sideline only to quickly find himself rallying against other perceived injustices. Following the Bianconeri’s exit from the Champions League at the hands of Bayern Munich, Conte was quick to put Italian football in its place, becoming the most high-profile person to speak of Calcio’s issues. The outburst had many thinking that the coach could be set to throw in the towel and move abroad but, for now, he appears as committed as ever to the Juve cause. There is still some doubt as to whether he will remain at the club in the long term given his tendency to bounce from club to club so far during his coaching career and the reservations he has about the current state of the game in Italy, but for now he still has his heart set on seeing through the job he has started so well. The moves that Juve have in the pipeline seem set to achieve the initial aim of securing a third successive Scudetto while also making them a stronger outfit in the areas that they have proved wanting at times over the past two years. With Llorente already having climbed on board, the addition of even one of Higuain, Jovetic, Tevez or Ibrahimovic would put them in a far better position to compete in the Champions League than they were in 2012-13. Extra resources in defence are also necessary, with Ogbonna a wise addition, but just as important will be the need to hold on to players of the ability of Vidal and Lichtsteiner, and that is a clear priority for the club. All in all, there is every sign that Juventus are heading into the summer with a perfectly structured plan for the market ahead, and if they play their cards right then 2013-14 could be a season to remember even by the Bianconeri’s recent standards. This entry was posted in News on 03/06/2013 by mirsinho.